A well-respected degree from A&M-Commerce will give you the confidence to compete and achieve success when you graduate. 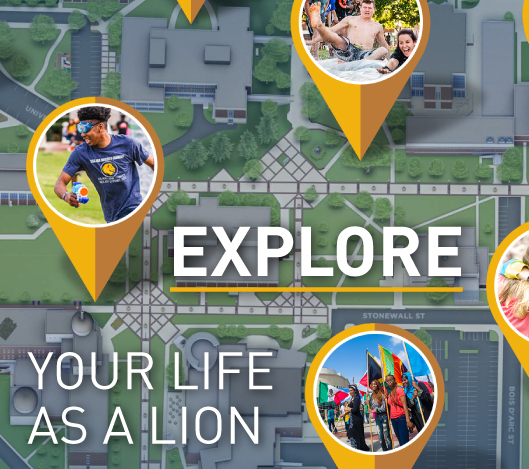 A&M-Commerce offers more than 35 master's programs, 1 specialist program, 6 doctoral programs, graduate certificates and educator certification, designed to provide the support you need to accomplish your dreams. Apply online today. The online application process is quick and easy to complete. You may pay your application fee when you apply online. A student ID number, PIN, and admission details will be emailed to you within two business days. Your email will include information about submitting your documents to A&M-Commerce. Once you receive your student ID, PIN, and admission details, you may access your student portal, myLeo to track your application status. All the documents required for admissions consideration will be displayed under your application status and updated as your documents are received. Fund your education. Check into available scholarships, graduate assistantships, and financial aid. A&M-Commerce offers hundreds of thousands of dollars to students every year in order to make our tuition affordable, so every student can achieve a high-quality university education. Learn about Graduate Studies. View the online frequently asked questions, Graduate Catalog, or contact the Graduate School.